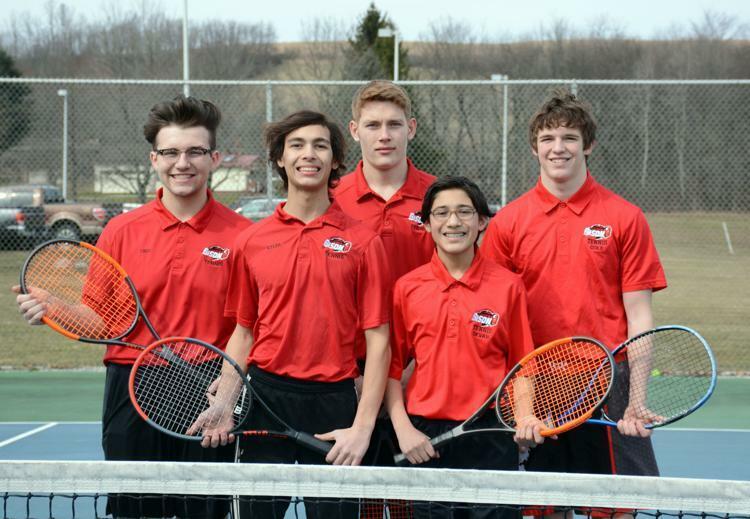 The 2019 tennis squad returns five letter winners to this years' team. In front: Kyler Rosinsky and Devan DeSantis. In back are Cruz Wright, Avery Rowles and Cole Smay. Have a great season!